With media headlines dominated with stories of political turmoil from Brexit to US-China trade wars having a view on what matters and how to approach investing can feel daunting. Hear AJ Bell’s Investment Director Russ Mould run through portfolio pitfalls (and opportunities) that may lie ahead alongside a roster of expert fund manager speakers. 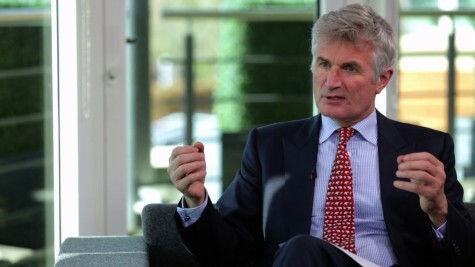 Roland Arnold has been responsible for small and mid-cap UK Equity Portfolios at BlackRock since 2006 and has been co-manager of the Trust since 2012. A multi award winner, BlackRock Smaller Companies Trust invests predominantly in smaller LSE main market and AIM companies. With a goal of achieving long-term total returns for shareholders the Invesco Perpetual UK Smaller Companies Investment Trust owns a broad cross-section of small and medium sized UK quoted companies. An AIC Dividend Hero the JPMorgan Claverhouse Investment Trust has generated shareholders 46 years of dividend growth by investing in a focused portfolio of large UK companies. Managed by Sue Noffke the Schroder Income Growth Fund is an AIC Dividend Hero with a 23 year track record of delivering an increasing dividend. Investing primarily in above average yielding UK equities the fund can also, if considered appropriate, have exposure to overseas listed companies and bonds. The evening is perfect for investors that are interested in better understanding how to construct their portfolios and is a great networking opportunity to meet fellow investors and to share ideas.